23 Taiwanese, resident in Kenya, have been released after being charged for running online fraud schemes and illegal call centres, despite having no internet connection in their accommodations. After the release, 8 of them were put on a plane to the People’s Republic of China. The Taiwanese Ministry of Foreign Affairs commented the occurrence as “an uncivilized act of extrajudicial abduction” and a “clear gross violation of human rights” and called for the return off all its 23 acquitted citizens. On April 5, Kenyan authorities announced it had acquitted 23 Taiwan nationals who had been arrested for running illegal “command call” centers. As Quartz reported in November 2015, the Taiwanese citizens were part of a larger group of Chinese and Thai nationals who had been sent to Kenya with the promise of truck driving and other blue collar jobs. Instead, they were arrested for running online fraud schemes and illegal call centers—despite living in apartments with no internet connection. Their acquittal ought to mark a victory for the Kenyan justice system, as well as the Chinese community in Africa. Instead, it’s the beginning of a diplomatic nightmare. Eight out of the 23 acquitted men were placed on an aircraft headed not for Taiwan, but mainland China, Taiwanese media outlet Focus Taiwan reports. 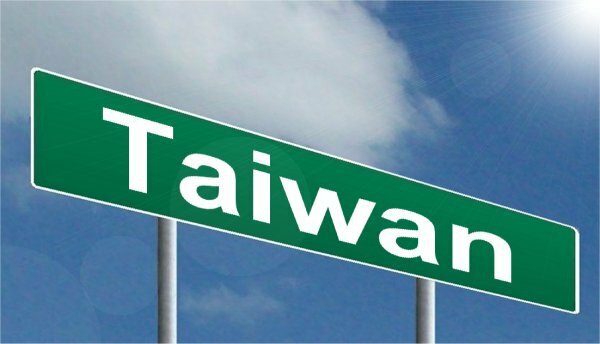 Beijing considers Taiwan one of its own provinces, while Taiwan operates as an independent country, with democratic elections and no formal sworn allegiance to leaders in Beijing. The acquitted Taiwanese citizens were instructed by courts to go to the police bureau in Kilimani, Nairobi to retrieve their passports, after which they could remain in Kenya for 21 days, the ministry said. A representative from Taipei Liaison Office in the Republic of South Africa, a de facto embassy “obtained information” that the Nairobi police station was being pressured by Chinese authorities to send eight of the Taiwan nationals to mainland China. Despite Taiwan’s attempts to derail those efforts, the eight men were placed on a China Southern Airlines flight headed to Guangzhou on April 8. The remaining 15 Taiwanese remain in Kenya, according to MOFA. China’s Ministry of Foreign Affairs spokesperson Lu Kang said during a press conference that specific details of the incident were still being understood, but each side’s support for “one China” must be guaranteed. If Beijing does not return the eight individuals to Taiwan, it could mark the beginning of a major diplomatic crisis. Since Taiwan elected Tsai Ing-Wen—a member of the nominally pro-independence Democratic Progressive Party—as its president, Beijing has increased its efforts to isolate Taiwan. The abduction puts Taiwan’s new government in a tough spot. There’s little it can do to retrieve its citizens from the hands of governments it has no official ties to—Taiwan holds no formal or diplomatic relations with Kenya, and the two countries don’t even share a commercial trade office. But the situation is likely to increase international concerns about Beijing’s commitment to the “rule of law” under president Xi Jinping, and perhaps ramp up international support for Taiwan. After several Hong Kong booksellers were abducted and brought to mainland China in recent months, the US State Department, the European Parliament and others criticized Beijing’s actions. A minister from Taiwan’s Mainland Affairs Council, the official bureau that oversees relations with Beijing, told Focus Taiwan this afternoon that it hopes to work with mainland Chinese authorities based on a cross-straits agreement on joint crime fighting. There’s no guarantee they’ll cooperate. Taiwan said Kenyan police broke down a jail wall and used teargas to force a second group of Taiwanese to board a plane for China, a day after accusing Beijing of abducting eight other citizens. There was no immediate confirmation the 15 had left for China. When asked about the incidents, China’s foreign ministry spokesman Lu Kang said: “The One China policy is an important precondition for bilateral relations with China and other countries. “We commend Kenya for its upholding of this policy,” he told a regular briefing. Taiwan’s previously frosty relations with the mainland have improved over the past eight years under outgoing president, Ma Ying-jeou, whose Kuomintang party has a tacit agreement with Beijing to acknowledge there is “One China”. But the latest episode has angered both the government and the opposition. The mainland is stepping up pressure on Taiwan president-elect Tsai Ing-wen – who is due to take office in May – as Beijing does not trust her historically pro-independence party. Tsai condemned what she called the abduction by the mainland in a Facebook post on Tuesday and called for the release of the citizens. “This incident will deepen the negative perception of the mainland in Taiwan’s society,” she said. The mother of one of the men forcibly removed from jail on Tuesday told Apple Daily newspaper he was in Kenya on holiday with friends.